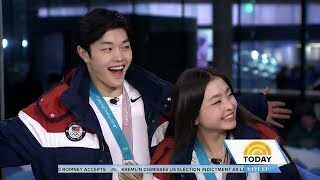 I didn't follow ice dancing, so this was the first year I saw the Shibutani siblings. 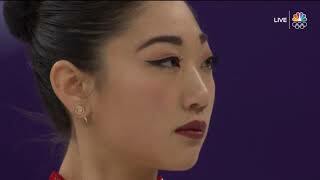 This performance moved me in a way I haven't really been moved by skating since the days of Michelle Kwan. This is beautiful. Weren't they the team that got their cheek cut open by the skate? 63 idiots disliked this video. anyone here from react ? No one twizzles like them! This is honestly so good. With the music and everything. They’re amazing. This is so good 😍 so much respect for the both of them. That was really beautiful, and the choreography is done really well so that you can feel their connection but it doesn't have any creepy sexual undertones. 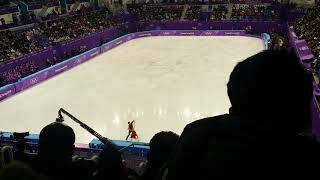 I saw some performances by Madison Hubbell with her brother Keifer when they used to skate together, and they did some things that I don't want to see a brother and sister doing. it was super cringey. I'm glad Madi skates with Zach now because I really like her, but her and her brother were too cringey to watch a lot of the time. Im not crying over this at 3 am or anything.... god they are so good and they have an awesome relationship, like seriously, how many brother and sister teams could pull this off and be so close? In my opinion they deserve more than a third place! They performed every note of this music. The twizzles gave me chills. They were so deserving of that bronze. Just the best. Any chance you can upload Tessa and Scott's? maia and alex project their real life connection as siblings onto the ice and that’s why their impact on me is more profound than any fake love story other teams can conjure up. 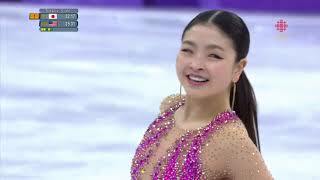 the shibutanis use their story, their passion for the sport, and their love for each other to create pieces that come alive on the ice. it feels like magic because it’s real. Such an amazing and historic dance. Deserved silver!!! Still can't believe how perfect those twizzles were. Replayed that part so so many times!! I still don't understand why the 3:17 lift got a yellow light from the judges? Can anyone else explain for me?